TrekToday.com (via The News Tribune) is reporting that 2010 is the last year to see Star Trek’s Leonard Nimoy at a convention. He apparently has 10 conventions scheduled for the year, one of which is Creation’s big Las Vegas convention (Shatner will be there as well, by the way). And now that the news is out about Nimoy, you can bet that con is going to sell out even faster than normal. Gold Packages are already gone. This isn’t all that surprising really, given that Nimoy is quickly approaching 80 years old. 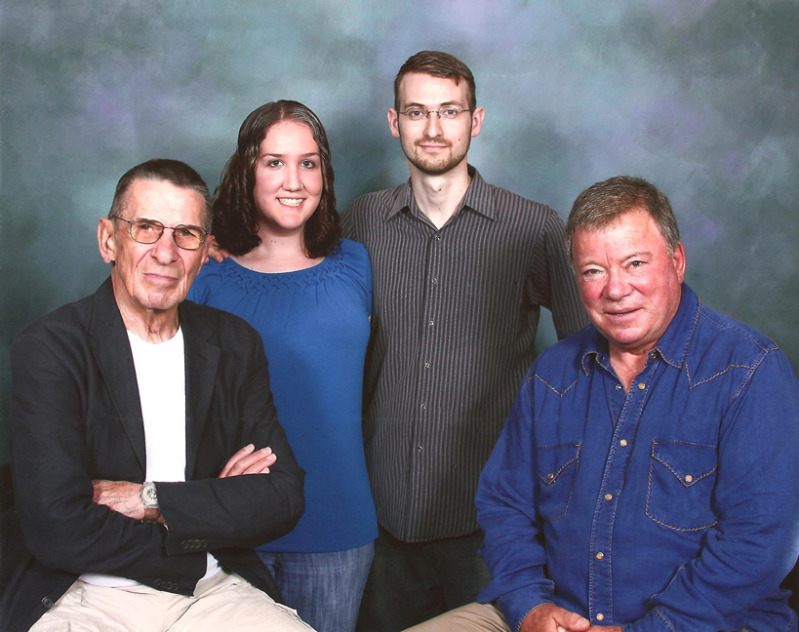 It’s also why I splurged for the special photo with him and Bill Shatner at Dragon*con last year. I think one of the reasons why Dragon*con got so mobbed by people in 2009, was that many realized the convention was probably going to be their last opportunity to see either one of these Star Trek icons.